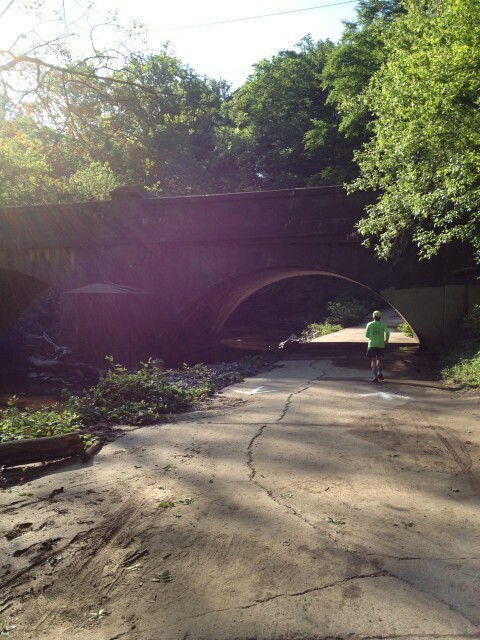 I have officially completed my first stand-alone 50 miler and it was on beautiful trails in the city of Philadelphia! I had the lucky chance to interview the RD of this race a month back, which had me even more excited for the race! Pre-race with my #1 supporter, my mom! 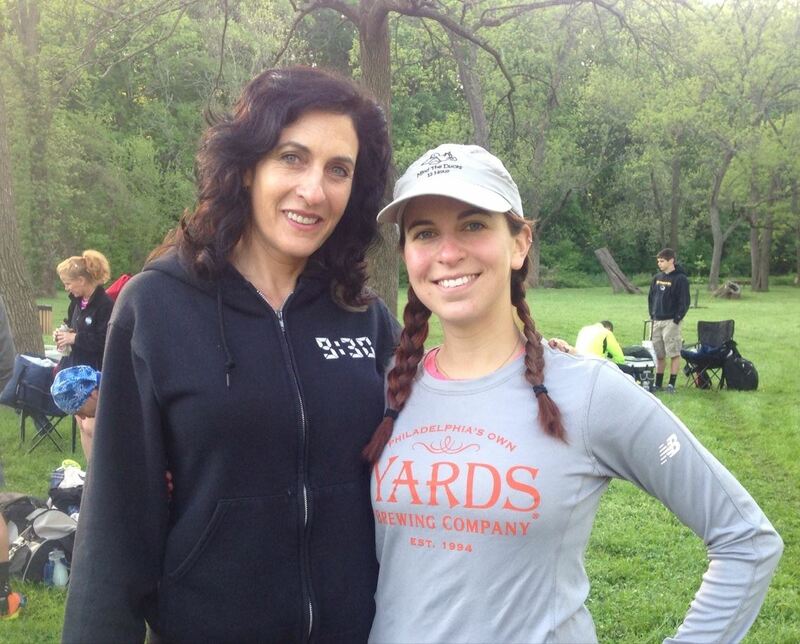 The race occurred in Pennypack Park in Northeast Philadelphia with ideal weather conditions (low temps started in the 50s with a high in the mid-60s, with a few rain sprinkles). Packet pick-up was quick and painless and I quickly started to absorb what I was about to undertake. The pre-race meeting was short and sweet and soon enough, ~150 of us 50 milers were off (50k racers started an hour later with the 25k racers starting 2 hours later). 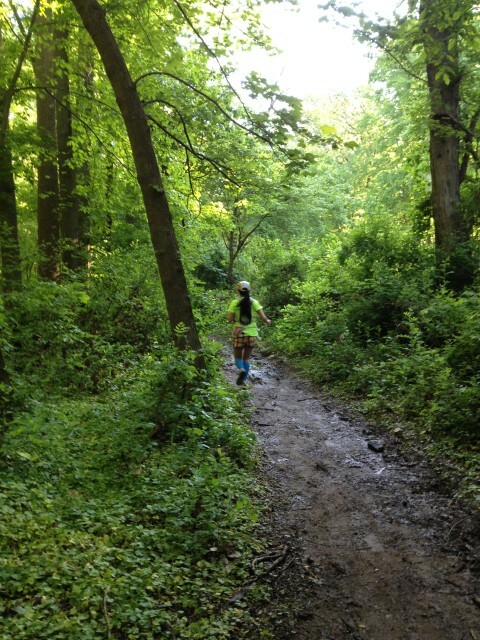 The course is labeled on the website as 70% trail and 30% pavement. Each lap is approximately 25k long, with an additional mile per lap added on for each 50 miler. Throughout the first lap, I was surprised to find many surface types along the course, including packed dirt, sand, large loose rocks, small loose rocks, roots, wooden bridges, and grass. There were 2 aid stations along the figure 8 course, but you hit the first on twice, allowing us runners to get aid about every 4 miles, plus aid was available at the start/finish line. One of the pavement sections of the course. I had some friends running the race, too, but as I predicted, we all ran at different paces. I ran with a friend from New York until we hit the first aid station, then I took off and ended up joining another group of runners. I will admit they were going a bit faster than I would have on my own, but you can’t beat conversation on the course, so I stuck with them. We spent the rest of the loop gabbing, cracking jokes, scaring off other runners with our inappropriate banter, and getting to know each other. We finished the first loop in just under 3 hours. I knew I wouldn’t be able to keep that pace for the other two laps, but I felt strong and knew I had set myself up for a faster-than-predicted race if nothing completely fell apart. The course 2 miles in. The course was definitely an easier trail race, but as a road runner, it was a fun challenge. I walked (with other runners) up any hills that were steeper or longer, but I did run most of the course. 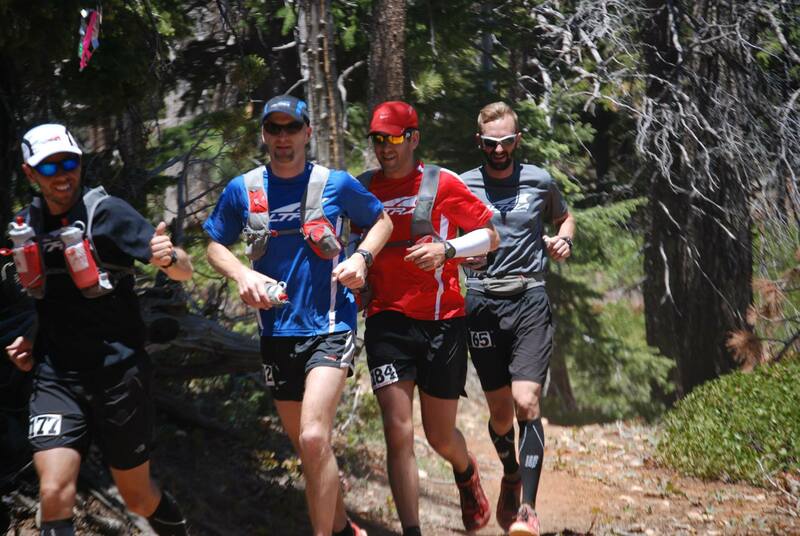 During the second loop, we picked up some new people in our merry group of runners and I was really having fun. I had some nausea the beginning of my second loop and I got scared. I, for once, realized that I had been eating one too many cookies and I focused on potatoes in salt, bananas, and chips at most aid stations after that. Viola, my stomach ache was gone! I battle with stomach issues, so I was really excited to have listened and figured out the issue. Going into this race, I was most excited that there was some pavement in the mix of the trails since that feels comfortable and normal to me. Surprise surprise, this section turned out to be my least favorite and most painful. After running on soft trail and even the rocky sections, the pavement felt so awful. Our fun group started to separate just past the halfway point of the second loop, with some runners getting faster and others getting slower. I was with one runner, Brian, for a lot of the second half of this loop and in typical me fashion, I wiped out with about 1 mile left in the lap. I ended up with just a small cut on my knee, a scrape on my arm, and a bruised ego. I finished the second loop about 17 minutes slower than the first lap, saw a friend finish her first ultra (she was finishing the 50k), then quickly headed back out. Hamming it up post-fall about 31 miles in. I started this loop alone and got really lonely. I loved the camaraderie that I had on the first two loops. I told myself to get to the first aid station (about 3 miles in) and then I would allow myself to listen to music. I tried to get my iPhone to play music, but it hated me and kept shutting off. I literally said out loud to myself, “Time to toughen up, Buttercup” and I pushed ahead knowing that I had only about 13ish miles left. One of the runners from a previous lap, Brian, caught up with me and we played a fun game where I would slowly run and he’d walk for sections, then run fast and catch up with me. With each mile feeling so slow, I just got excited when we got down to single digits. It was amazing how I had already run this loop twice and certain sections looked completely new to me. I kept using the course markings on the trees as check points on long, straight sections and would grab each tag and let it slide out of my hand. The course, by the way, was awesomely marked and I didn’t get lost once! Soon enough, Brian and I were at the far aid station, which meant we just had to head back to the start line! By this point, we could pick out parts of the course as checkpoints to get us to the finish. The worst were really the pavement sections, which felt like they lasted 987987 hours and every step was painful. Soon enough, we were hitting the last aid station and were just 5 miles from the finish! This race was Brian’s longest, so I did my best to be encouraging and push him so that we could be finished. My motto for the last few miles was “The more we run, the sooner we’re done.” Some of that running was shuffling and I swear, they added more hills at the end of this loop somehow, but we kept chugging along. Soon enough, we could hear the polka music playing from the finish line area and knew we were nearly there! I’ve never been so excited to see pavement as I was when we did at the end because we knew we just had to cross a road and get to the finish line 100 meters ahead. 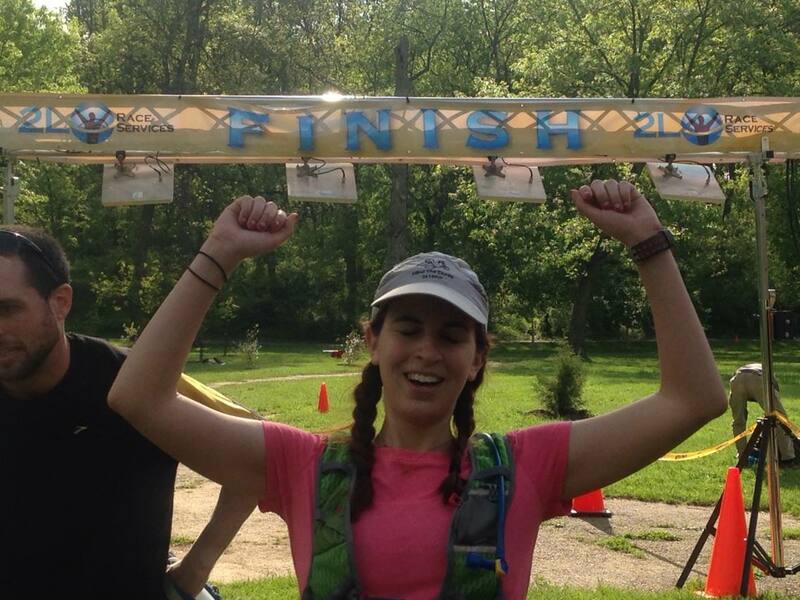 I ended up crossing the finish line in 9:34:33, hours faster than I thought I would. Sticking with the faster group the first lap really set the tone for the race and my speed. I ended up placing 2nd in my age group and man, the swag at the race was fabulous! Every racer who signed up before race day got a giant backpack, a beer glass, a towel, and a tech shirt, all with the race’s awesome logo on it. 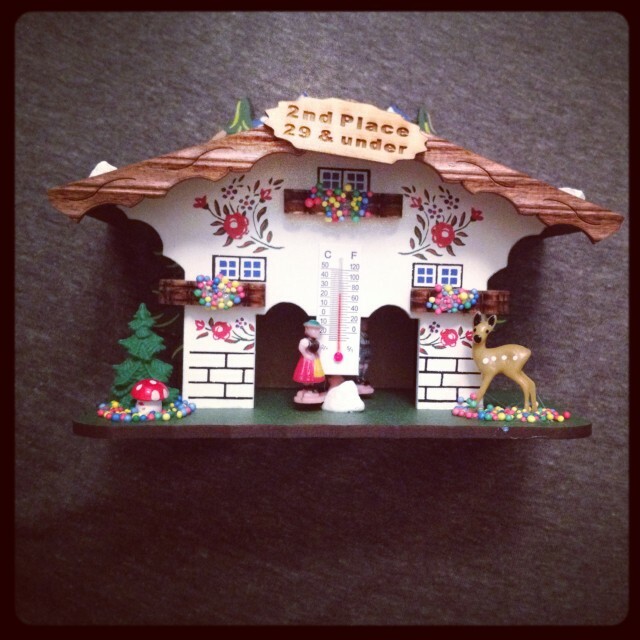 For placing 2nd in my age group, I got a German weather house. 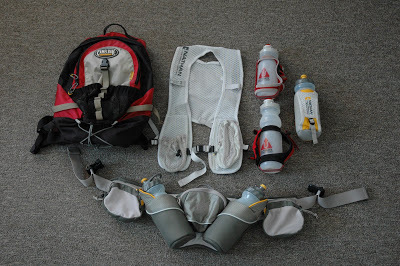 I didn’t pay for the race in exchange for my RD interview and this race report, but the most racers paid was $80 for 50 miles and all of the swag, which is insanely cheap! My 2nd place age group prize! Overall, this was an fabulous race. The aid stations were not too far apart, filled with great food, and run by awesome volunteers. The start/finish area played German music for most of the day (including having a live accordion player) and when you finished, German food was part of the post-race food (sausages, German potato salad, and sauerkraut included). When I commented on how great a beer would taste when hanging around the finish line waiting for friends to finish, a beer appeared in my hand shortly after. The other racers were incredibly awesome and fun. My mom crews me for nearly every single of my races and this was no different. 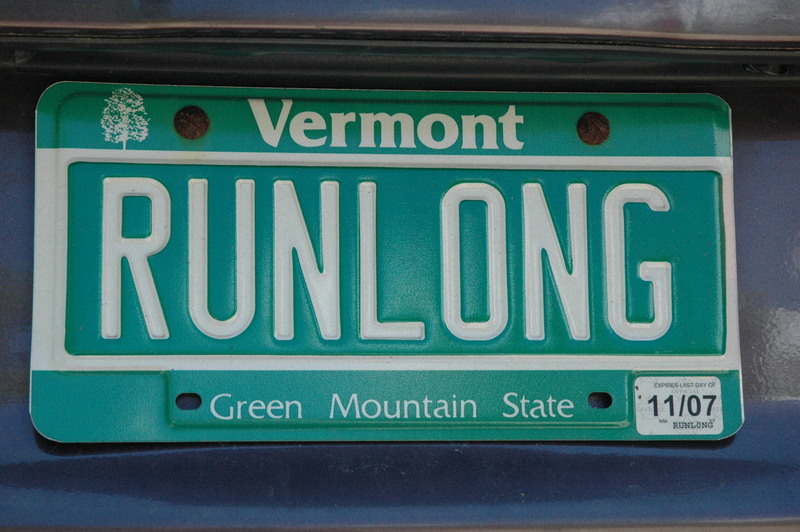 Driving home, she said that while she’d love for me to not run another ultra again because “It’s just crazy,” she loved the atmosphere of the race and the racers themselves since they are always such a supportive, sweet, funny, and great group of people. Stephan, the RD, puts on other races throughout the year with a German theme and I’m already checking my race schedule to see which more of his races that I can do. If you’re in the Philadelphia area, I’d strongly suggest checking out his races! Hey, great run & great read! Pretty sure I was the “old guy” in your fun joke cracking bunch on your second lap – thanks for letting me tag along & congrats on your first 50 miler! I ran this race in 2013, sounds like it was just as fun at the Dirty German this year. Great race for anyone wanting to try an ultra distance. Congratulation! Great write up! This was my first ultra, however I only did the 50k. I totally agree with the part about the paved sections, I looked forward to them but hated it when I arrived. Also, the loneliness factor got to me a bit too. Even though we didn’t talk much, I enjoyed the pack I was running with on the first loop and missed them greatly as I was winding my way through those hairpin turns near the end of the loop. Like you, I’m also looking forward to my next uberendurance race.